As far as the cop movie genre goes, the 1970s were clearly the decade of San Francisco-based stories told from a variety of different angles, most of them downbeat and gritty or just straight up procedural. When Freebie and the Bean came along in 1974, it was clearly a take on the genre, but at the center of it were Alan Arkin and James Caan, a comedic screen duo unlike any other. It’s (what has now become) your basic buddy cop movie about a couple of wild street detectives who are constantly arguing with each other, yet somehow find a way to get the job done, amidst the chaos they create around them, as well as the wreckage they leave in their wake. The film was a hit at the box office, but wasn’t initially all that appreciated critically. 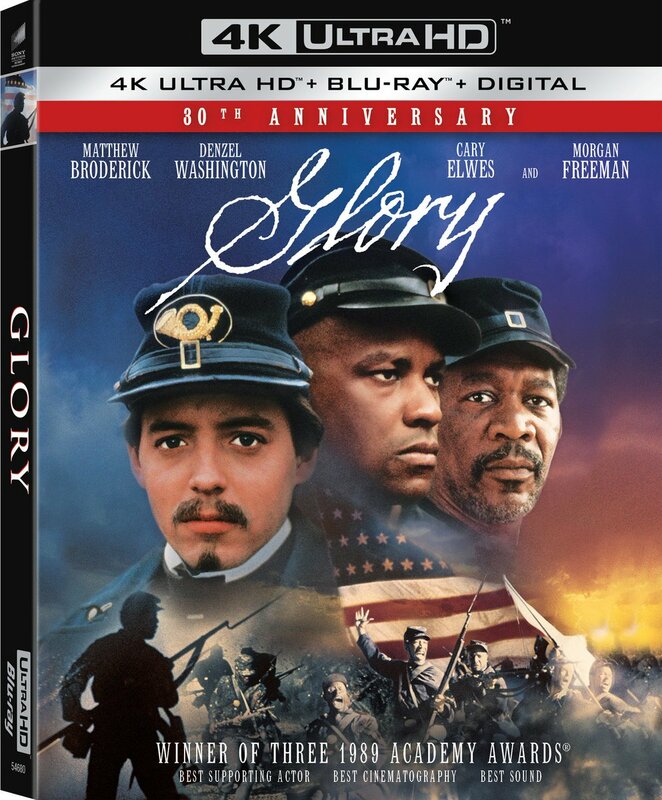 Now with nearly 45 years of hindsight, it has become an underappreciated handshake movie between film fans. Clearly, Freebie and the Bean comes from a place of genuine appreciation for its leads and the willingness to allow them to rewrite their own movie through their dialogue. Arkin’s and Caan’s back-and-forth banter is some of cinema’s freshest repartee. To that degree, the star of the film isn’t the plot itself, which is reminiscent of Dirty Harry from around the same era. Instead, its Arkin and Caan. They play well off each other and it’s a shame that a sequel was never made, much less another movie with them at the center of it. It isn’t a perfect film as the pace of it is clearly off and the tonal shifts are a bit sudden and don’t flow together well. It’s also quite obvious that Arkin, as well as his on-screen wife (played by Valerie Harper), are clearly not of Mexican descent. However, the entertainment value found within the sharpness of the comedy, the stunt work, and the car chases override these flaws – not to mention the chemistry between the film’s two leads. It’s what makes Freebie and the Bean special and always a delight to watch. Warner Archive debuts Freebie and the Bean on Blu-ray with a beautiful widescreen presentation, which was taken from a new 2K scan of the film’s interpositive element. László Kovács’ excellent cinematography is preserved in its proper aspect ratio, with a presentation that’s better than any previously seen, included Warner Archive’s previous DVD-R release. There’s some inherent softness, but detail is much sharper than ever before with well-resolved grain and excellent depth. The color palette of the film, which has always been a bit lackluster, is also reproduced well with good skin tones and plentifully-hued environments – mostly outdoor location-based. Black levels are fairly solid with no real discrepancies while overall contrast and brightness levels are appropriate. It’s also a stable presentation with no digital or film-based artifacts with a strong encode. The audio for the film is presented via an English 2.0 mono DTS-HD track with optional subtitles in English SDH. Although dated in many ways with some mild distortion from time to time, it’s not exactly a flat presentation. It holds its own when car chase sequences occur, while the dialogue is often mixed in an Altman-esque manner, meaning slightly layered on top of each other. This makes things a little buried, but by design, especially for the comedy. Score is amply supplied although laid back in the overall mix, but sound effects have plenty of boom and crash to be heard. It’s a solid A/V presentation overall. Also presented is the film’s original theatrical trailer in HD as a supplement. Director Richard Rush (The Stunt Man) crafted a wildly, if inappropriate, piece of entertainment with Freebie and the Bean. 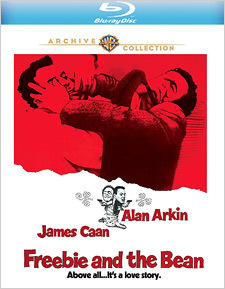 Arkin and Caan are madly perfect together in their own, weird way, and the insanity of the film’s action sequences make it a wild ride worth revisiting, and Warner Archive’s Blu-ray release will aid you sufficiently in that regard. Highly recommended.